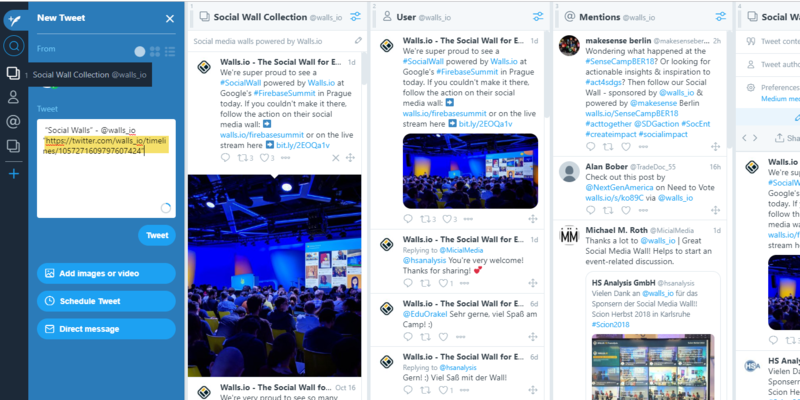 To get the most out of a social wall, you need to be able to connect it to multiple different sources. That’s why many people choose their social wall tool based on how many social networks they can hook up to it. It isn’t just about the various networks, though. The available methods for pulling posts also matter. Most social walls simply let you use hashtags to aggregate posts from various networks. But sometimes, it makes more sense to aggregate posts another way. You may want to be even more specific with the content you display on your social wall or have more control over what is shown. 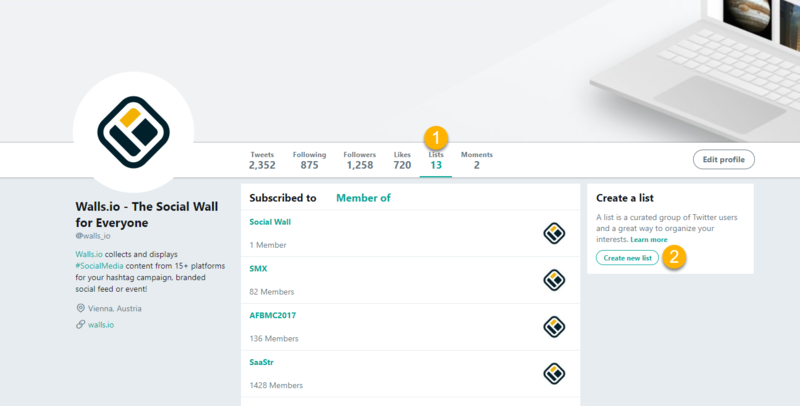 Walls.io collects content from multiple social platforms including Twitter. For each social network, you can add multiple sources. For Twitter, for example, you can add tweets with specific hashtags or tweets posted by specified profiles. 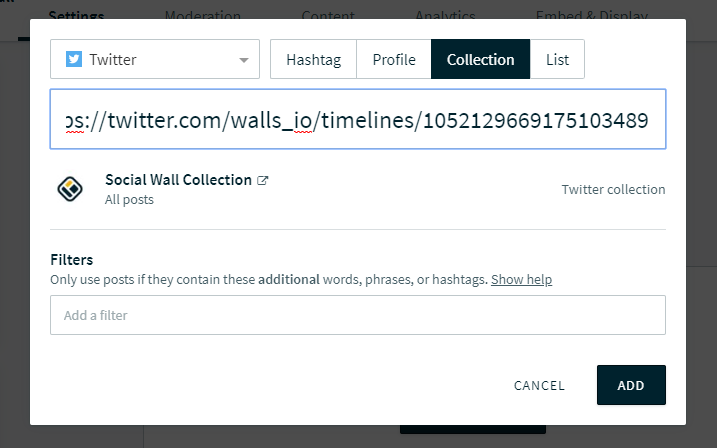 To help you curate Twitter feeds and add even more specific content to your social wall, we recently added Twitter Collections and Twitter Lists as additional Twitter sources in Walls.io. 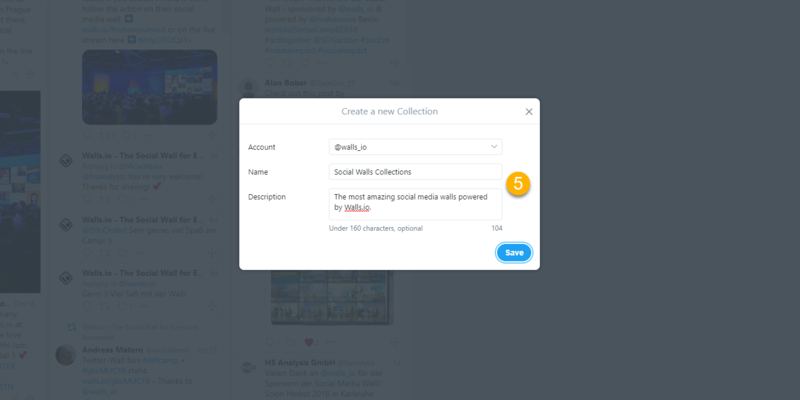 Read on and learn how to create specific Twitter Collections and Lists, how to add them to your wall and use them on your website or on a display at your event. 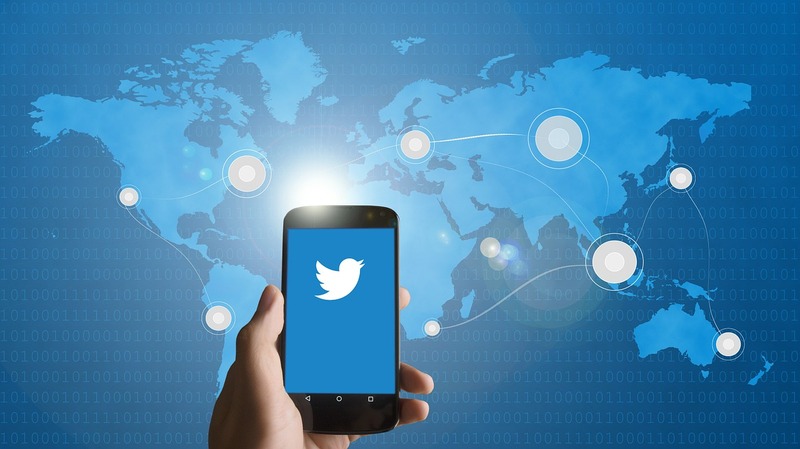 Mix curated Twitter content with content from many other social media platforms, as well as custom content created by your brand. 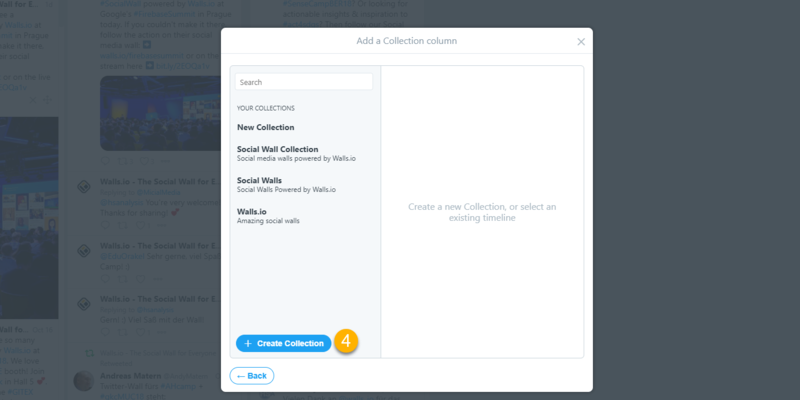 Twitter collections let you curate individual tweets into a timeline, which you can then link to, embed somewhere — or simply use as a source for your social media wall. A collection functions just like a regular timeline except it only shows the tweets you selected. 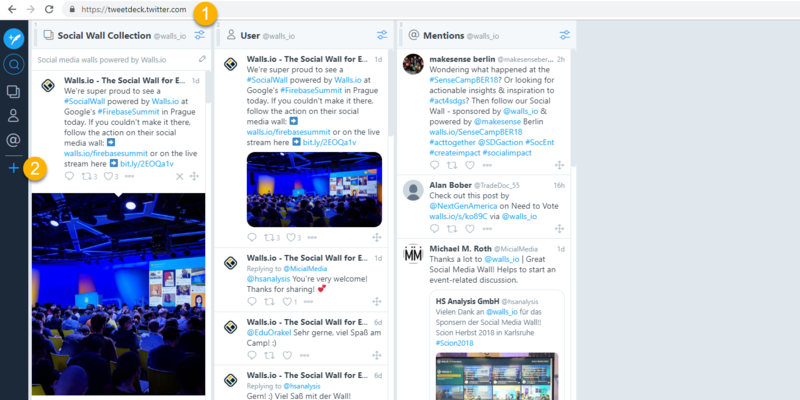 In this example, we created a Twitter collection containing image and video tweets about social walls powered by Walls.io. (6) Find the Tweets you want to include in your collection. 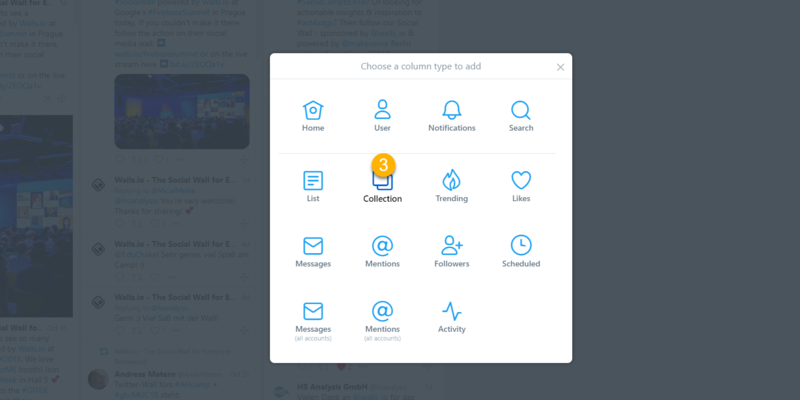 While Twitter Collections are a great way to curate individual tweets, Twitter Lists let you create a list of tweets based on Twitter profiles. This is a great option if you don’t want to go looking for individual tweets as sometimes that’s just not feasible. Instead, you can add the profiles of users whose tweets you want to populate the timeline with. 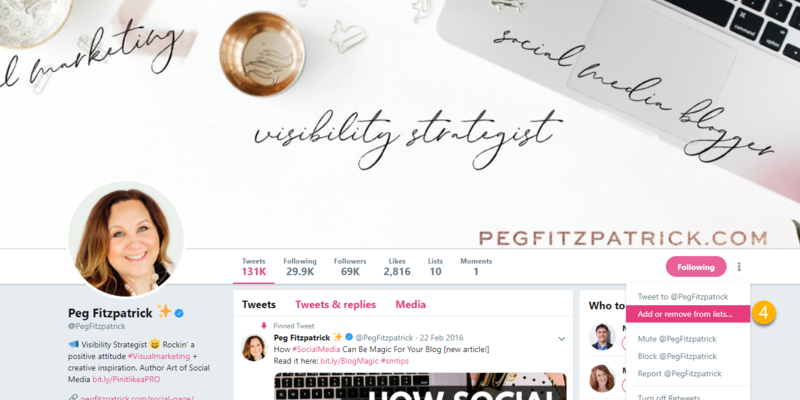 You might wonder why you should bother creating Collections and Lists for your social wall instead of adding your Twitter sources another way. But Collections and Lists give you more control over the content you show on your social wall without necessarily having to spend time moderating your wall. There’s a lot of great content already on Twitter. But it’s a lot of information. Whether it’s content created by you, your customers or influencers in your industry, you can use Lists and Collections to cut down on the noise and really dig down into a topic. Adding Collections and Lists to your social wall offers a new way to curate your wall. Especially with Collections, you can be even more stringent by hand-picking the posts that are shown on your wall. Twitter Collections are also editable on the fly. 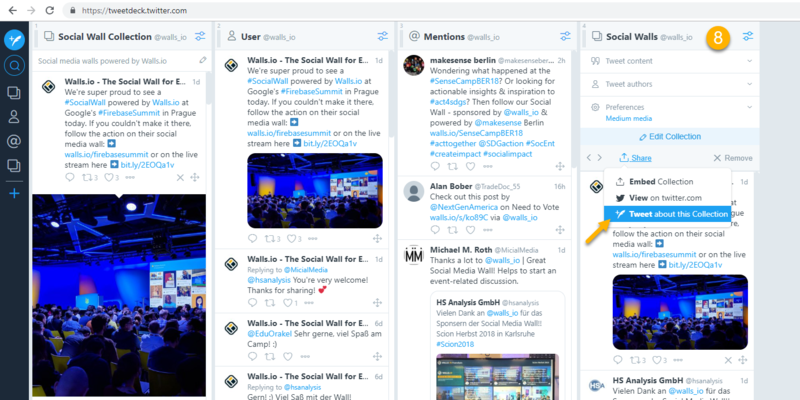 So if you build a collection and realise you need to add or remove a tweet, TweetDeck dynamically refreshes all the instances of the Collection no matter where you’re using it. 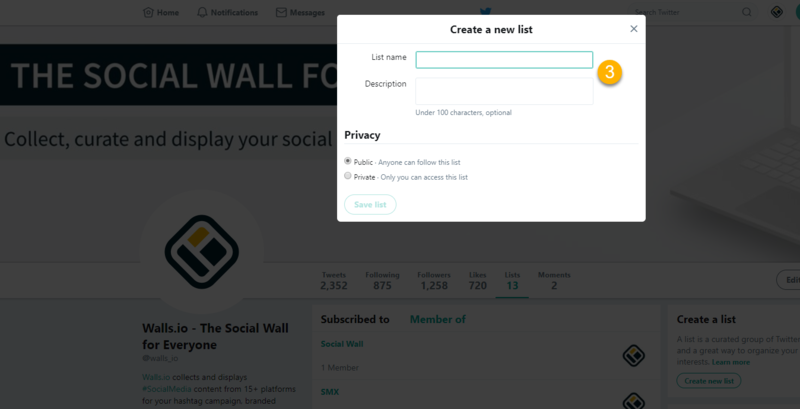 Adding your Twitter Lists and Collections to your social wall is as easy as adding any other kind of source. Simply navigate to your sources and click on “add source”. Select Twitter from the dropdown of sources. Then, just like you would add a hashtag or a profile as a source, select Collection or List and paste the URL into the text field. 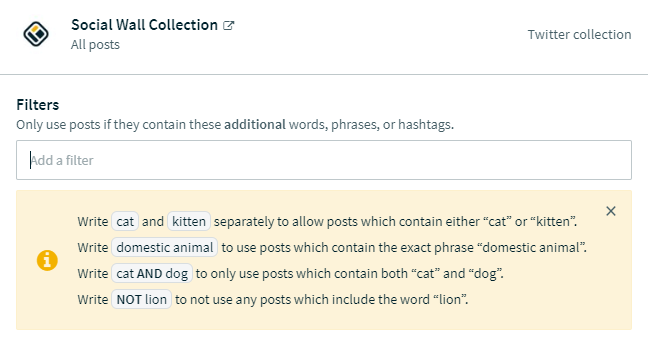 You can even add additional words, phrases or hashtags to filter the content from your List or Collections. Just in case you want even more control over the content shown on your wall. User-generated content makes for great social proof. Collect the great things users are saying about your brand and then use that content to convince others to buy your products as well. Hashtag campaigns and social media walls are a great way to intentionally collect and display user-generated content. 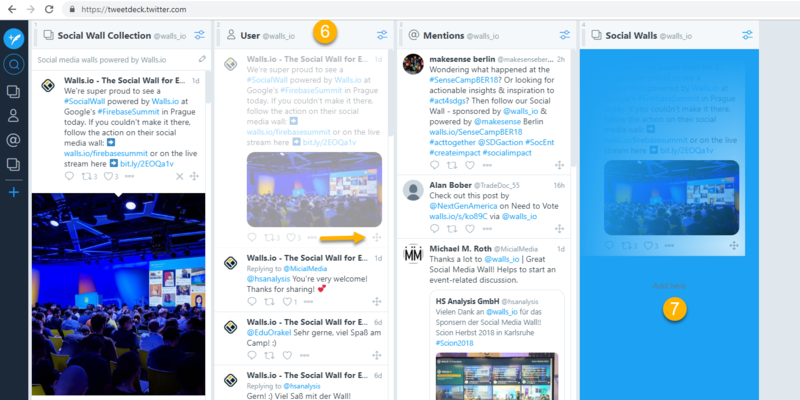 You can also use a social wall to mix content you curated in a Twitter Collection or a List with similar content from other social media platforms and native posts featuring your products, for example. You can then embed the social wall on your website, use it as a resource in a sales call or display it at an event.